Reporting Services provides a few features that allow you to create mailing labels in different formats – the only thing you need to know are the exact dimensions of the label template you are targeting when printing. 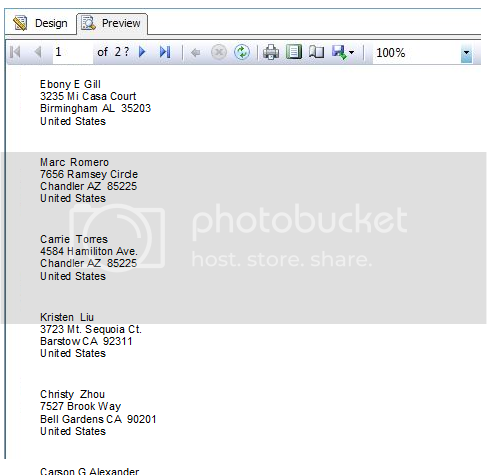 A common mailing label format is to use multiple columns (newspaper layout) in order to maximize the number of labels printed. Here is the basic steps are to: create a report with multiple columns, add a list, add a textbox, write an expression, and let Reporting Services do the hard work! 2. Go to the Report properties. 3. Drag a List onto the report. Adjust the Size to be the Width and Height of your labels, plus a little extra for the strips that go between them. Avery 5160 have a width of 2.8125 and a Height of 1.0625. 4. Drag a Textbox onto the List. 5. Set the properties of the Body. Again, a width of 2.8125 and a height of 1.0625 was used. 8. Now, go to Preview. 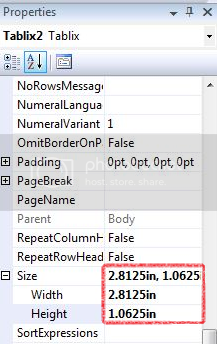 You will only see one column of textboxes. This is by design. 9. Click the Print Layout button and you will see how the labels will print.